15mm Essex figures with AB trumpeteers. Oxfordshire regiment was light infantry. Galloping at everything – 15mm British hussars from AB with Essex on both flanks. 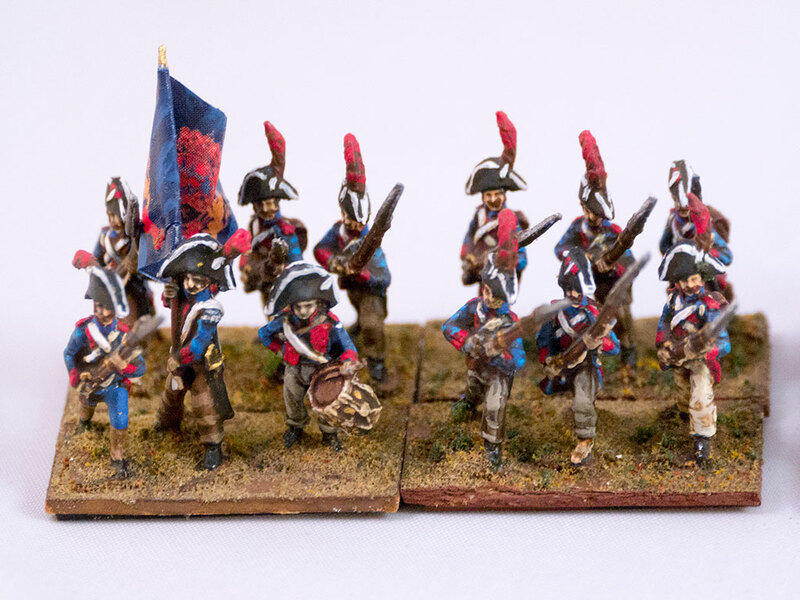 Battle Honours 15 mm Spanish infantry painted by Aksu. Brushing on Army painter dip seems to work extremely well with these figures.